England Cattle Company has been raising Brahman cattle for generations in the southern-most “tropical” part of Texas. Mike & Elizabeth “Cricket” England started their operation in the 1980’s on her grandparents’ homestead, and today ranch manager and son, Benton, oversees the nearly 200 registered polled, grey Brahman and commercial F-1 cows. The family understands the challenges of raising cattle. But they also, know that with best management practices that include a high-quality supplement program those daily challenges become lessened. With three challenges that face the family-owned operation during different times of the year, the England family has chosen to feed two different VitaFerm Concept•Aid® products throughout the year to help offset those challenges. Like a majority of bos indicus cattle, conception rates and fertility are a primary concern. With the heat and humidity, fly control is also a challenge; and finally, protein supplementation is imperative during the winter months. Benton said their VitaFerm rep introduced the products to them about two years ago, and they have been feeding them ever since. Englands feed VitaFerm Concept•Aid 5/S IGR the majority of the year, which helps with fly control. From October through February when the cattle are on “winter” pasture, they are supplemented with VitaFerm Concept•Aid Protein Tubs. All VitaFerm products contain Amaferm, a precision prebiotic designed to enhance digestibility by amplifying the nutrient supply within for maximum performance. Furtermore, Amaferm is research-proven to increase the energy available to the animal resulting in more milk production as well as the ability to initiate and maintain pregnancy through increased fertility. England Cattle Co. has a split calving herd with both spring and fall calving cows. 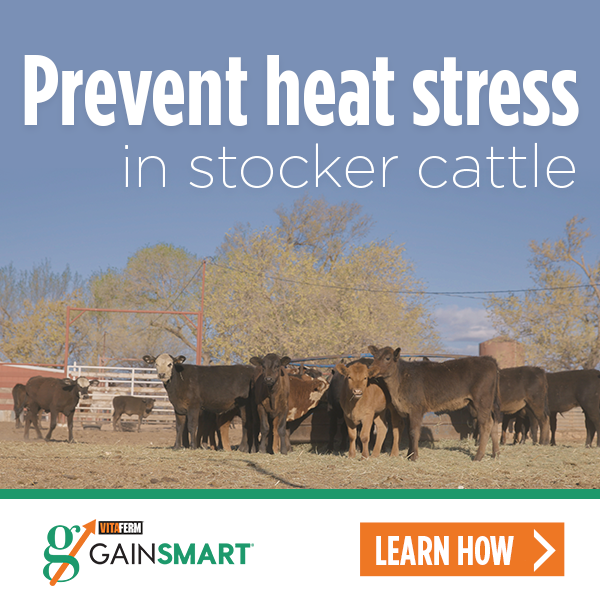 This helps increase their marketability, with calves ranging in age. They also use a variety of methods for breeding, including A.I., natural service, and both conventional and IVF embryo transfer. Since switching to Concept•Aid, they have seen a significant increase in their conception rates, especially in their ET herd. Since the coastal operation started feeding Concept•Aid 5/S IGR, Benton said they’ve seen absolutely no fly problems. The ingredients in the Concept•Aid 5/S IGR prevent adult horn fly emergence from manure of treated cattle. By feeding the Insect Growth Regulator, the breeding of horn flies is prevented in the manure; however, IGR is only permitted in certain states. In addition to the IGR and Amaferm advantage, Concept•Aid contains organic copper, zinc and manganese to ensure maximum bioavailability of nutrients to the animal. It also contains high levels of vitamin E and selenium to promote optimized fertility. Being stewards of the land, and having the resources for pasture improvement, the herd runs on irrigated ground. Benton said most of the time they run 1 cow per 1 acre because they do irrigate and fertilize the pastures in the summer, so the natural protein levels are 15-16%. However, in the winter when nutrient levels drop, he likes to supplement the cows with the VitaFerm Concept•Aid Protein Tubs. Another advantage that Benton said that the VitaFerm products have compared to those he’s fed in the past are the consumption rates are on target. He feels like his cattle are eating the proper amounts of what they need without overeating.